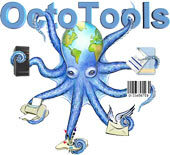 OctoTools is a document management tool that encompasses Forms Design, Report Formatting, Electronic Distribution, Printing, and Text to PDF conversion. Once set up, OctoTools runs automatically to provide high volume throughput without operator involvement. OctoTools is composed of two main modules; OctoDesigner and OctoToolsRTE (Run Time Engine).